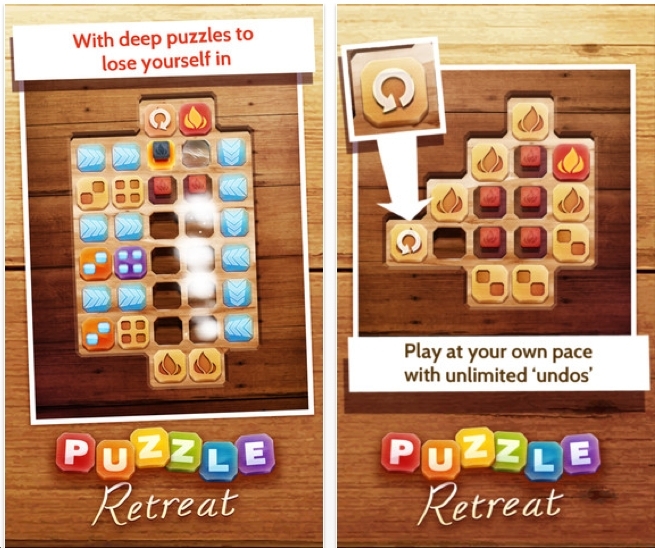 Simon Joslin is one of the Voxel Agents who created Puzzle Retreat. A better title that would help describe the objective: Ice Cube Tray Puzzles. The object is to slide the ice cubes to the empty spaces and fill up the tray. Naturally, ice cubes will slide over other ice cubes and then fall into an empty space. At times, you must slide 2, 3 or 4 ice cubes at once to fill up a row or column. This is a sequential movement puzzle: the order of the sliding matters. Interesting features: Directional arrows that divert the path by 90 degrees. The Ice Cube with a handle on top: once that ice cube lands in the tray, nothing can slide over it. The Fire Cube: this will melt all th ice cubes in that row or column. You must then refill those empty spaces. The good people at Voxel Agents sent me a promo code to download and play-test Puzzle Retreat. This includes 96 levels. They are not terribly hard, but they are compelling and fun. And yesterday I bought a level pack of 24 levels for $.99, which I think is a bargain. There will be a new level pack every month. Bottom Line: Puzzle Retreat is a fun, challenging, original concept puzzle game app. 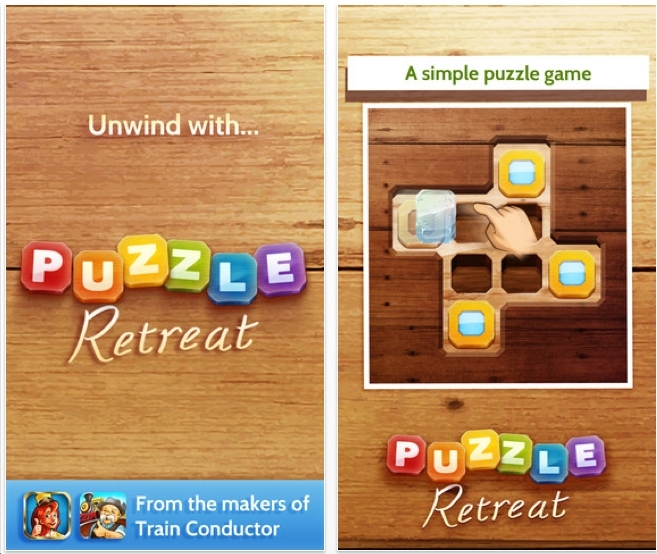 It earns a spot on the prestigous list of Best Puzzle Apps of 2013. Congratulations Voxel Agents. Everybody: after a hard day of work, you need a Puzzle Retreat. Now do you understand the title?